Time: 1:30 p.m. and 4:30 p.m.
Don't miss Rich, Scott, Dave and Smitty playing many beloved Movers songs from their Emmy-winning Playhouse Disney TV series. Radio Disney AM 1450 will be on-site at the Mahalia Jackson Theater of Performing Arts on Sunday, March 7th from 2 p.m. to 4 p.m. with all your favorite Radio Disney music and great prizes for all kids 14 and under. There will be a craft table where kids can make their own noisemakers or design a tambourine to play along with the band, and the Radio Disney Road Crew will keep the whole family dancing and laughing with games kids of all ages can enjoy!! 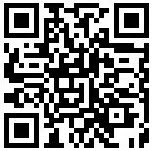 Stop in early if you have a 4:30 show time, or stick around and dance for awhile after the 1:30 show. The Imagination Movers are: Rich Collins, a former journalist and father of five; Scott Durbin, a teacher and father of two; Dave Poche, an architect and father of two; and Scott "Smitty" Smith, a New Orleans firefighter who was part of the Hurricane Katrina search and rescue effort. 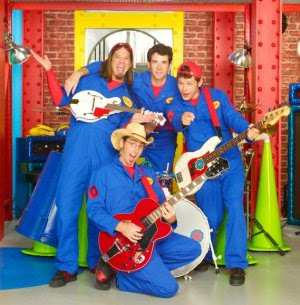 “Imagination Movers" features the blue-suited band – Rich, Scott, Dave and Smitty – as brain-stormers working hard to solve “idea emergencies” in their Idea Warehouse. Each episode features five songs. "Imagination Movers" is a hit with audiences around the world, airing in over 55* countries/ territories and in 12 languages since September 2008. In the U.S., the series ranks among TV's Top 5 programs with preschoolers 2-5 in 3Q09 to date, and year to date has reached over 46 million unduplicated Total Viewers. Globally, "Imagination Movers" is the #1 original Playhouse Disney series launch ever among kids and Total Viewers in Australia, and in 1Q09 ranked as the #1 series on Playhouse Disney in the UK, Denmark and Sweden, while ranking as a Top 5 series in Italy, India and the U.S. YES, you read right...... Emmy winning! The IMAGINATION MOVERS won a Daytime Emmy Award from The National Academy of Television Arts & Sciences for outstanding original song in the children's show/animation category. The song, "Boing, Cluck Cluck" was featured in a first-season episode of the group's Disney Channel series. But that's not all....they are also award winning ! The 2009 National Parenting Publications Awards (NAPPA) Children’s Products judges announced their choices for competition and the Imagination Movers following submission was a winner: Imagination Movers: For Those About to Hop. Imagination Movers airs weekdays at 9:30 a.m., ET/PT and weekends at 10:00 a.m., ET/PT during Disney Channel's Playhouse Disney programming block for preschoolers. The series carries a TV-Y parental guideline. I am just wondering if the Imagination Movers are coming down to Vista and Oceanside to where I am because my roommate Julie Rufenacht is asking about you Imagination Movers if you really are coming down or not. I am just curious about meeting them in person at their concert's. I really am excited about meeting Imagination Movers and including Mover Scott. I really am hyper about meeting Mover Scott, I really am so in love with Mover Scott because I have a crush on him, plus I really do love him so much in my dream's.